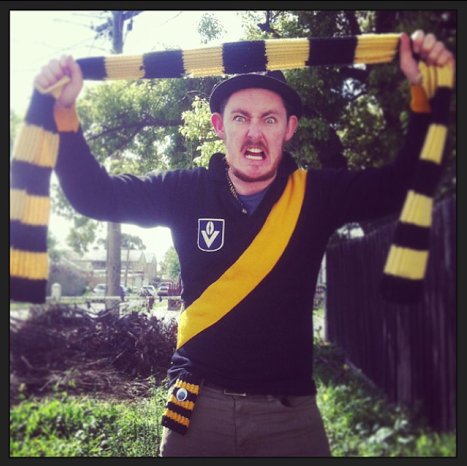 This is a post about the good old Victorian Football League! But which one am I talking about? 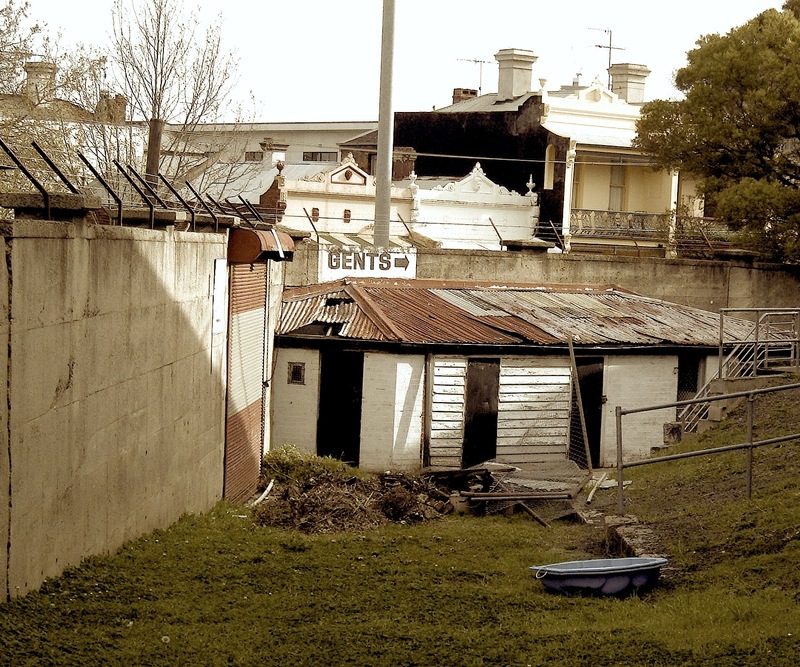 Am I talking about the Victorian Football Association (VFA) which was superseded by the VFL (Victorian Football League) in the late 1800’s, yet now goes by that very title? 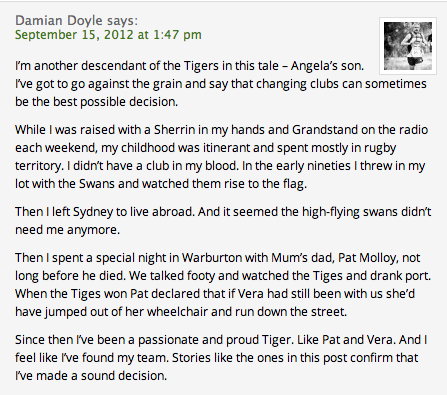 Or am I referring to what once was the VFL, now the Australian Football League (AFL)? Am I talking VFL reserves, VSFL or AFL reserves? 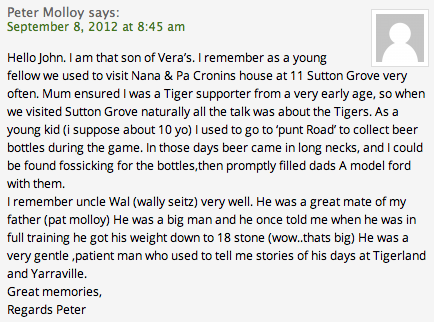 VFA legend Phil Cleary never played a VFL game yet he played 205 games for VFL club Coburg! 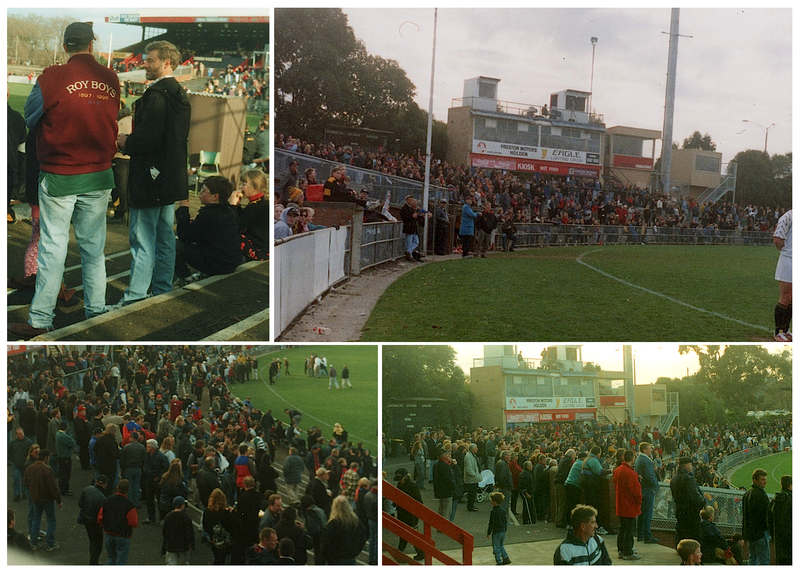 Sandringham won the 1994 VFA premiership, the 1997 VFL premiership (when the AFL reserves still existed) and the 2000 VFL premiership (the VFL now comprising old VFA clubs, aligned VFL and ‘AFL reserves’ clubs and AFL reserves sides.) Half of the Zebras 2000 premiership players were from AFL club Melbourne, a foundation VFL club…the original VFL that is. 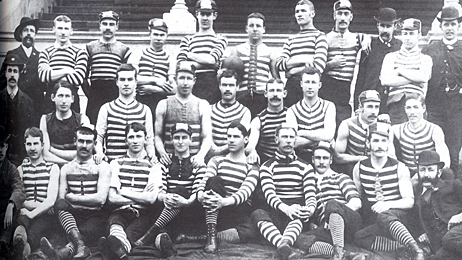 –AFL reserve teams Carlton, Collingwood, Essendon, Geelong, Richmond and St.Kilda, who all RE-entered the old VFA-VFL from which they fled, for the first season since 1896, albeit fielding only their reserve teams. A look at the premierships the Geelong Football Club have won over their history throws more confusion into the mix. Geelong have won 7 VFA premierships before entering the VFL (the original one!) in 1897. 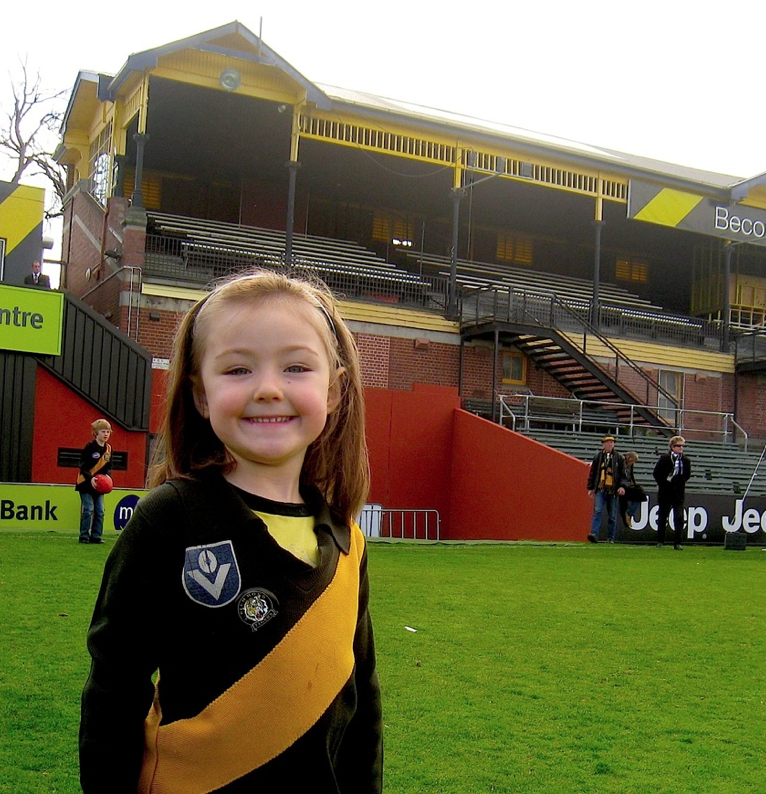 They’ve also won 6 VFL premierships (original again,) 3 AFL premierships, and 3 VFL (old VFA) premierships! Now the Geelong Reserves team have won 12 VFL (original) reserves grand finals, and 3 VFL (old VFA) grand finals in what is actually a senior competition. 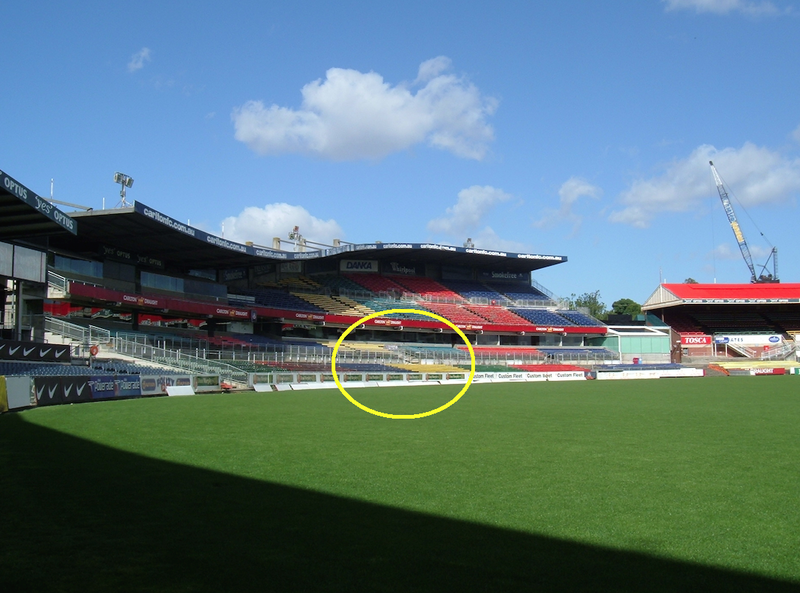 The Geelong football club on their website have included these last 3 VFL flags in their ‘reserves premiership’ section, not their ‘VFA’ premierships section, though those premierships were won in what is the continuation of that league (VFL-old VFA) where their first 7 flags were won. So Geelong, be it there senior team or their reserve team, have been premiers of the VFA-VFL 10 times. In 2007 they took a clean sweep! VFA-VFL premiers and VFL-AFL premiers! 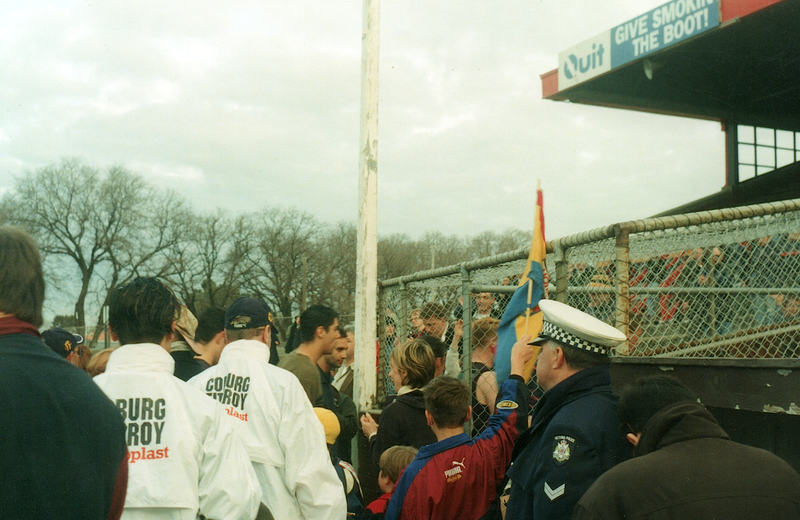 Now if Port Melbourne win a VFL flag, such as their 2011 triumph, it is added to their pile of VFA flags. 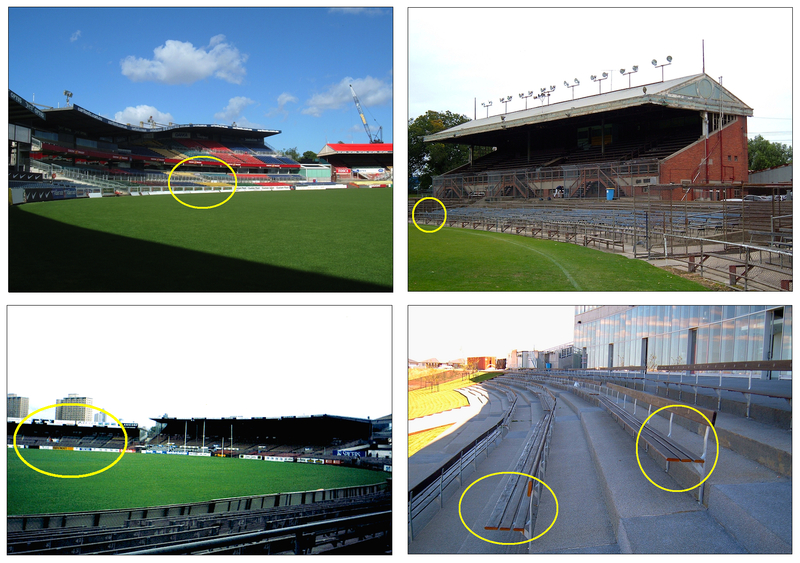 I’m not saying anybody is right or wrong, just pointing out how muddled and confusing Victorian football really is! 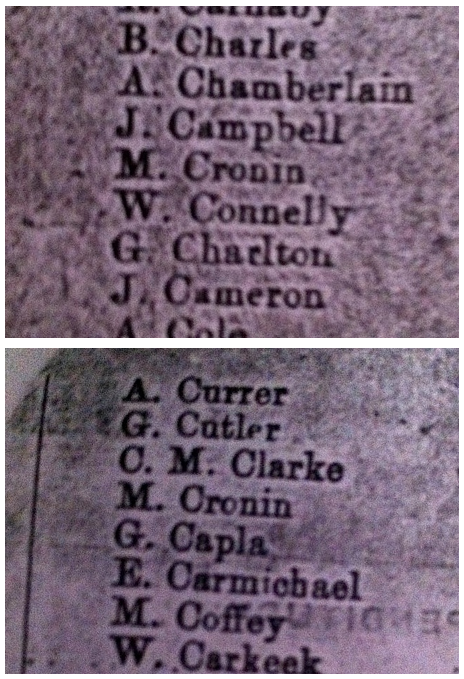 Footscray entered the original VFL in 1925 having proved themselves a force in the VFA. 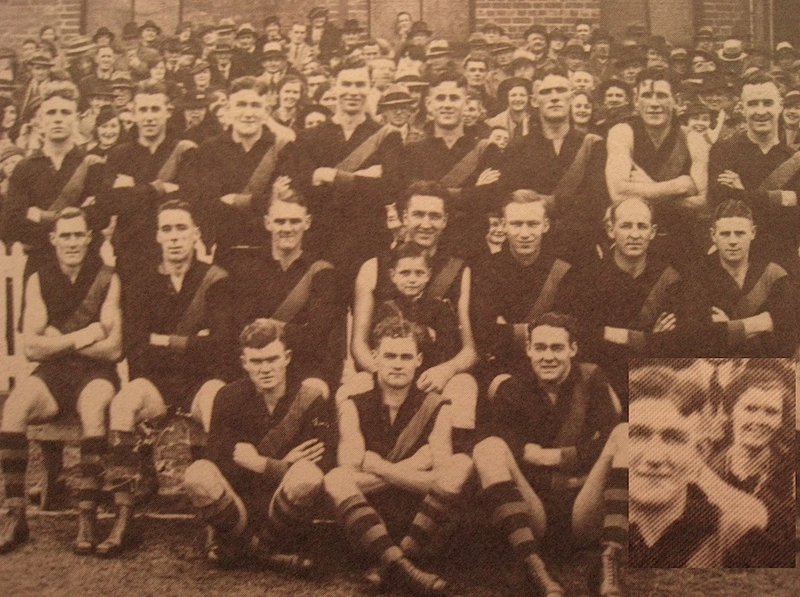 They won the 1924 VFA flag, and even defeated VFL premiere Essendon the following week! Fast forward to 2014 and the Footscray F.C have re-entered the VFA-VFL competition for the first time since 1924 (Western Bulldogs reserves.) 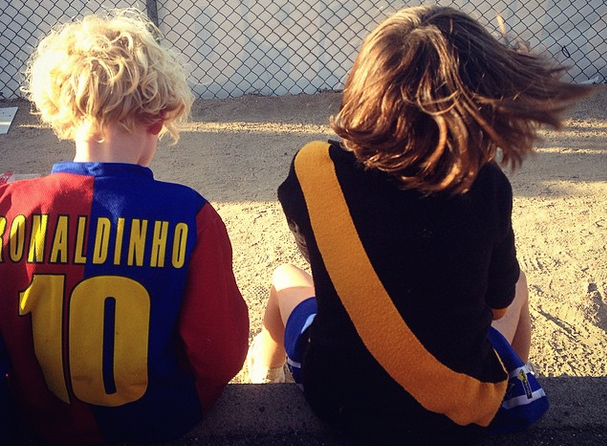 They have finished the home and away season second on the ladder and are shooting for what would surely be the longest gap between back-to-back premierships in Australian football history. 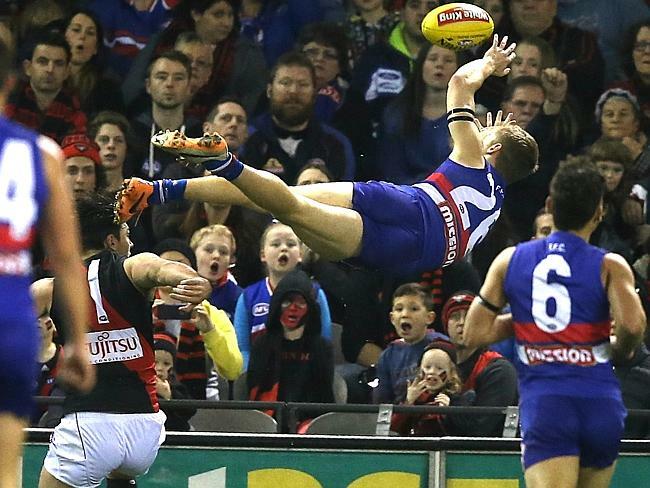 They play Williamstown this weekend at the Whitten Oval in a Qualifying Final. Last year, both teams took the field as one. 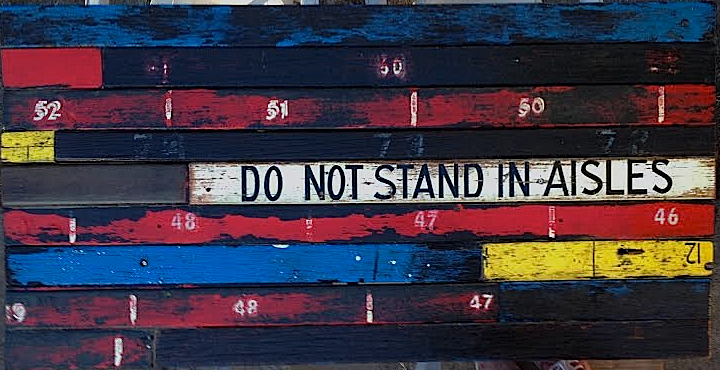 Should they win the flags, will the Footscray Football Club (trading as Western Bulldogs Football Club) add the flags onto their VFA tally? 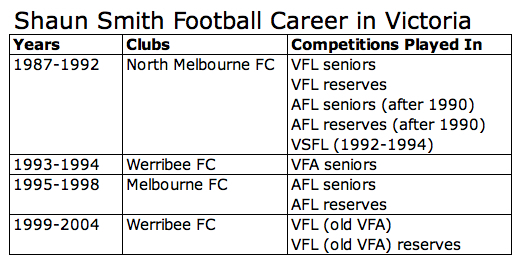 And then there is Shaun Smith, former Werribee, North Melbourne and Melbourne forward. 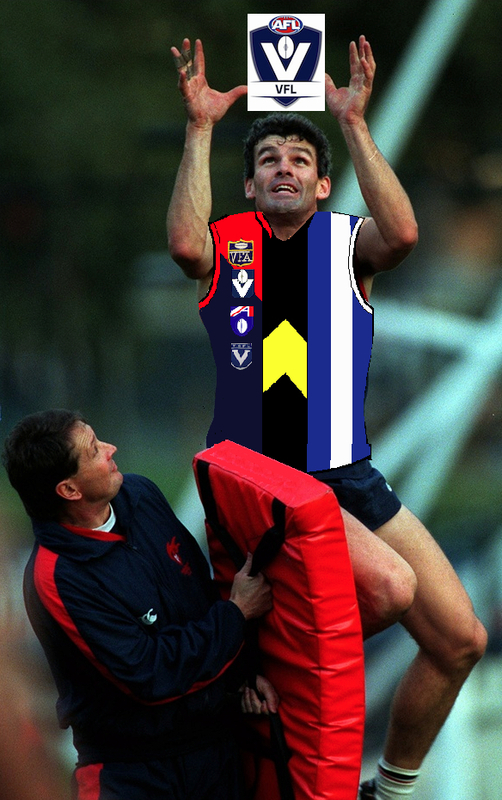 Shaun has played in the VFA, the VFL (1897-1989) the VFL (1897-1989) reserves, the V.S.F.L (AFL reserves), the AFL reserves (1994-1999) the AFL (original VFL-1990-current) the VFL (originally VFA-2000-current) and towards the end of his career, the VFL (originally VFA-2000-current) reserves, now referred to as the VFL Development league! 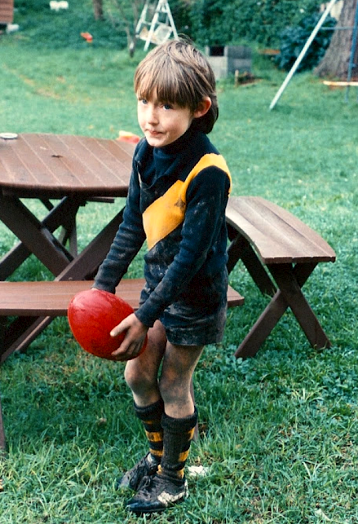 And there’s the very real chance that Shaun also kicked the dew in the old VFA reserves games either before or after his time with North Melbourne. There’s a staggering amount of V’s, F’s and L’s in there! 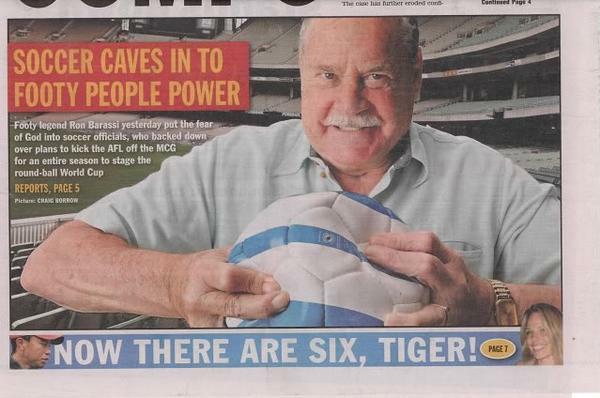 And yet the VFL and AFL games count together, and the VFA and VFL (THE SECOND VFL!!) count as one also! 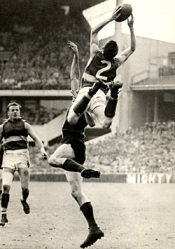 When asked the question, as I so often am, ‘how many VFL goals did Shaun Smith kick?’ I simply throw my hands into the air and settle in for a good thumb-sucking session! It’s a logistical basket case, but no one really seems to care other than a small band of diehards who’d like to see the name VFA return. I’d like that too, and think it would make sense, but I’m not holding my breath. 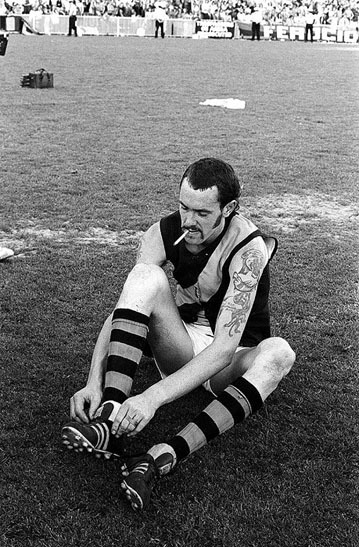 I think we’ll see it re-branded ‘AFL-Victoria State League’ or something bollocksy and droll before we see the VFA name grace the footballing world once more. 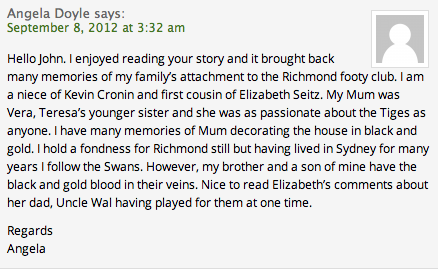 For fun, find someone who is into the footy but still relatively new to Australia and try explaining the landscape to them. 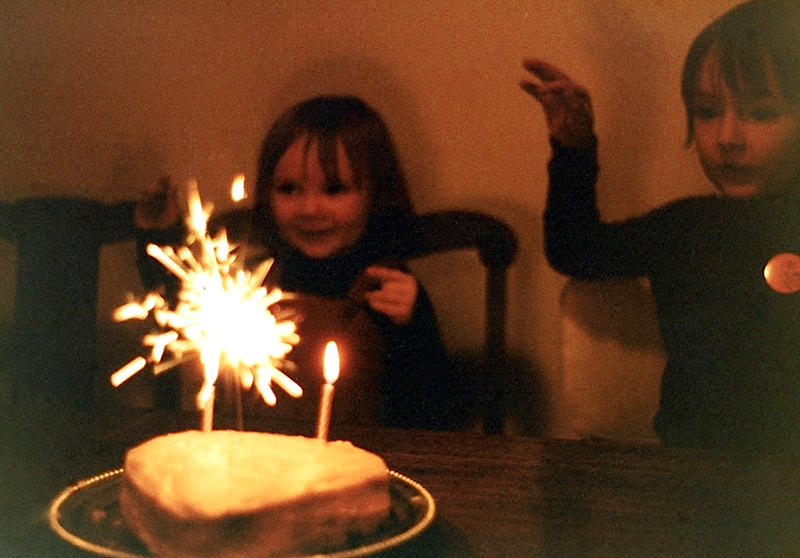 I’ve tried…they’ve screwed up their faces and scratched their heads. I’ll leave you with this as it says all that needs to be said. 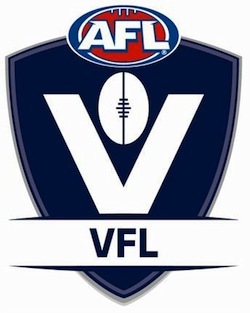 It’s the current VFL (old VFA) logo. It comprises an adaptation of the old VFL (original) logo as well as the current AFL (nee original VFL) logo to keep it company. Truly confusing, truly disconnected with the old VFA. Let the damn thing speak for itself.